Sheep can be a useful addition to the ride-on mower for people with large expanses of grass around their country homes. 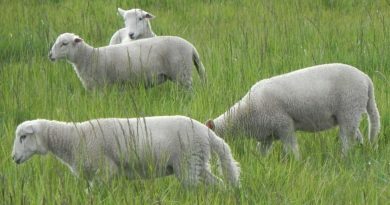 If you have an easy to maintain sheep, such as the Wiltipoll (no shearing needed and unlikely to ever be fly-struck), with a calm and friendly disposition, such as those from Moffitts Farm, they can be the ultimate no stress lawn mower support for larger yards, lane ways and storage areas such as wood and equipment yards. 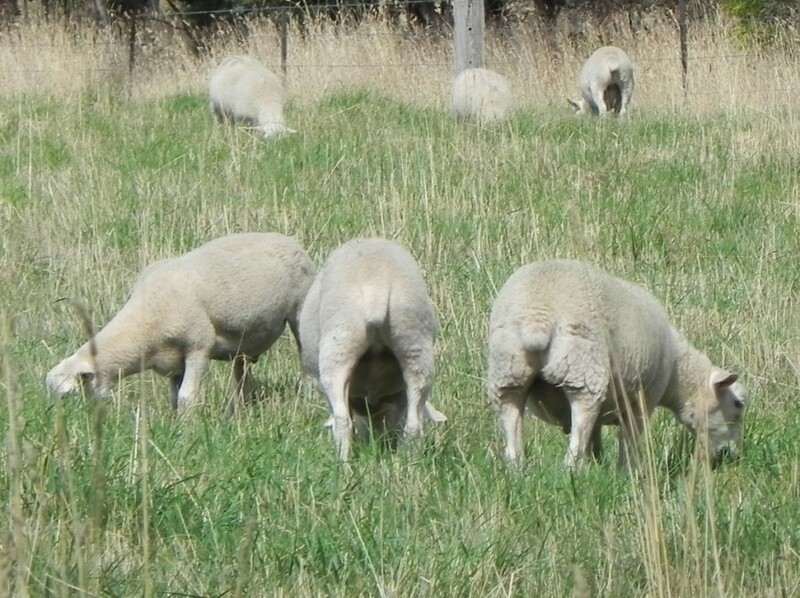 Moffitts Farm Wiltipoll lawn mowing sheep can keep pasture around yards and storage areas under control, but need regular shifting into rested paddocks or yards to maintain their health. These sheep are perfect for the lifestyle or small farmer who wants livestock on the property but not the work associated with shearing and crutching. They are appropriate even for people with little livestock management experience and without traditional sheep handling facilities, such as shearing sheds or yards. These sheep are an excellent option for school farms too. Moffitts Farm Wiltipoll lawn-mowing sheep are wethers, which means they are male sheep which cannot breed and are non-aggressive. They will live for up to ten years and simply need shade, fencing, water and plenty of pasture all year round. Give them a no-stress environment (so they are not being chased by dogs, horses nor humans) and they will remain curious and approachable for their whole lives. Moffitts Farm Wiltipolls do not need to be herded but will follow humans to a new paddock. The best way to keep them interested in following is to keep a supply of sheep pellets on hand and give them a cup full from a bucket as an occasional treat. The great thing about Moffitts Farm Wiltipoll lawn-mowing sheep is they do all their work powered by natural grass and they fertilise the paddock as they graze. Moffitts Farm Wiltipoll lawn-mowing sheep will be available from June to August each year. Numbers are limited so first in best dressed. For welfare reasons we do not sell single sheep. You must buy at least two – sheep are herd animals. 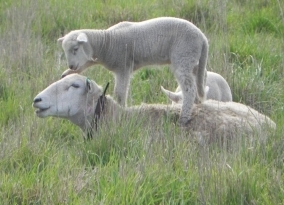 You can collect your sheep from Moffitts Farm, near Romsey, Victoria, using a trailer or horse float. For more information or to arrange a purchase, contact: Patrick Francis, 0418 351 567, francis@ozonline.com.au. 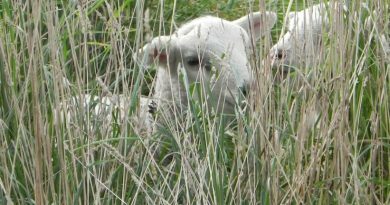 It is possible to raise lambs for home use meat providing you provide adequate nutrition for both body maintenance and growth. There always should be a minimum of two sheep in the paddock at all times. 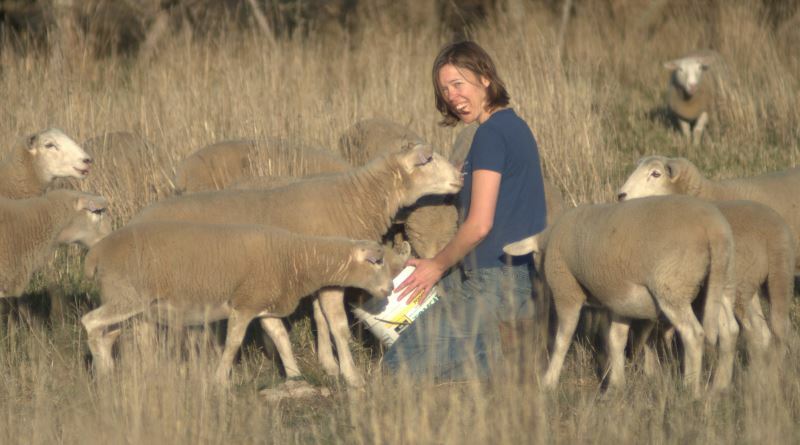 Sheep are flock animals and are likely to be stressed if left alone. Slaughter of sheep must also be done by people trained for that task. While there are mobile butchers that will slaughter animals on farm, I think it is best to have animals slaughtered at a licensed abattoir.